It’s been fifteen years since the day Google was founded. At present, no matter whether it is early in the morning or late at the night, if a question arises in your mind the first thing that you do is browse Google to look for the answer. Be it 10 years old child looking for the best racer toys or an accountant creating a database of various companies or a girl searching for the best cosmetics, Google has become everybody’s friend. It is the fifteenth birthday of this friend of yours and we have gathered a few facts about it that you perhaps didn’t know. 2. Google has acquired an average of one company every week since 2010. 3. The first Google doodle was a Burning Man symbol. Founders Larry Page and Sergey Brin went to the Burning Man festival in 1998 and added the doodle to let users know they were away from the office that weekend. 4. Google hired its first in-house chef, Charlie Ayers, in November 1999, when the company had just 40 employees. 5. Ayers went on to become the firm’s executive chef, overseeing a team of 150 employees across 10 cafes at its headquarters in Mountain View, California. 6. You can use Gmail in more than 50 languages. These include: Welsh, Basque, Tagalog, Malayalam, Telugu and Cherokee. 7. 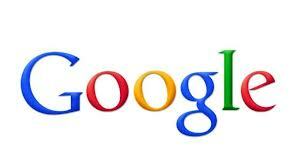 Around 1,000 of Google’s employees became millionaires when the company went public in 2004. 8. One of those millionaires was masseuse Bonnie Brown, who worked at the company giving back rubs for $450 a week back in 1999. 9. The “I’m Feeling Lucky” button, which bypasses the results page to take users directly to the first result of their search, has been estimated to cost Google around $100m in lost ad revenue every year. 10. Google hires goats. In 2009, the company rented around 200 goats for a week to eat the grass and fertilise the soil at its California headquarters. 11. Google’s first official tweet was the words “I’m feeling lucky” in binary. 12. Almost all of rival company Mozilla’s money comes from Google. The firm pays $300m a year to be the default search engine on Mozilla’s web browser Firefox. 13. Google founders Larry Page and Sergey Brin own just 16% of the company. 14. That 16% gives them a combined net worth of around $46bn. 15. A new Google employee is known as a “Noogler” and a former employee is referred to as a “Xoogler”.